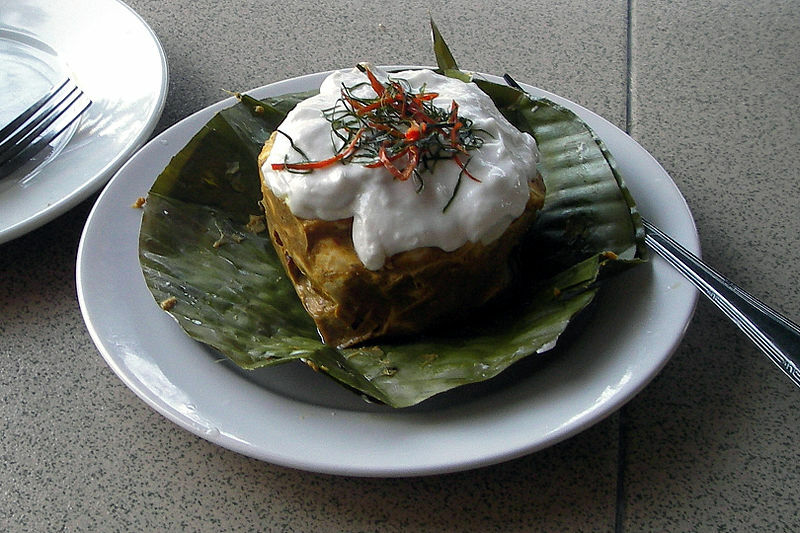 Amok trei, or steamed curried fish, is a traditional dish of Cambodian cuisine. It is fish coated in a thick coconut milk with kroeung (the main flavoring agent in Khmer dishes), either steamed or baked in a cup made from banana leaves. Essential to the dish is the addition of the leaves of the noni tree and the use of fingerroot. Left: Amok trei, a popular Khmer dish. More generally in South-East Asian cuisine, "mok" or "amok" refers to the process of steam cooking in banana leaves, or the resulting dish. Equivalents can be found in Thai cuisine and Laotian cuisine.